Biodegradable plastics are a modern necessity for our ever-endangered environment. 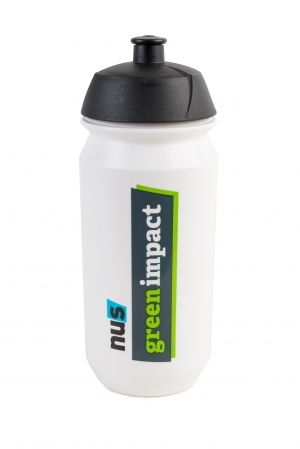 With all the negative comments about the Tacx branded bottles, which are discarded by the riders during the Tour, we decided to turn this into something positive and take on the challenge to manufacture an environmentally friendly bottle. Launched in 2009, the Bio-Bottle became a huge success. It is biodegradable, but yet maintains the same look and feel as our standard bottles. The Tacx sponsored Tour de France teams have successfully used the Bio-Bottle during the last four Tours. The Bio-Bottle is made from polyethylene and a revolutionary master batch additive. The master batch works by encouraging and supporting the bacteria present. Sunlight and heat do not affect the process. Composting begins in a landfill facility; the process takes 1-5 years.